UPDATES! A YEARS WORTH OF EFFORT TO FINALLY INSTALL SOME MAJOR UPGRADES COLLECTING DUST ON MY SHELVES. 11/28/13 Building a better transmission: RZ short 5th gear and a SuperNow deep oil pan. 11/28/13 F1 technology in my car! Exedy Hyper Carbon - Carbon D - Twin plate clutch. 11/28/13 Getting Quicker...Installation of a 4:30 Differential Ring and Pinion gear, GReddy Large Capacity Differential cover, and PowerFlex bushings. 11/28/13 Holding it all together - the Banzai Racing transmission brace w/Hyper-Flex Bushing. 11/28/13 Another MazdaSpeed Bauble, The Controversial MazdaSpeed Power Plant Frame. 12/15/12 The Holy Grail of RX-7 seats. Refinishing a set of RZ/Spirit-R Recaros. 03/19/09 Leaving this one here, just for the record. This begins the 4 part series documenting the reconstruction of my FD after the engine lets go in June of 2006....AND SOME DYNO RESULTS. Still more? As I work my way through the parts on my shelves look for: GZ Lower Intake Manifold, Mikuni Oil metering Pump, Ganador Super Rear view side mirrors, Nagisa Front fender braces, and more...oh quite a bit more. But I have to keep some secrets! Expanding the scope of my hobby I built and raced an ITS RX-7 for several years. I chronicled [in a 29 page series!] much of the buildup and my short racing career. ENTER "RUSTY, THE LIFE AND TIMES OF AN ITS RACECAR: A LIFE STORY"
At long last I've added the extremely valuable content from Gene Felbers old website. This content from the now MIA MantissaRacing.com site housed a wealth of incredible technical information most notably that on choosing the right turbocharger. 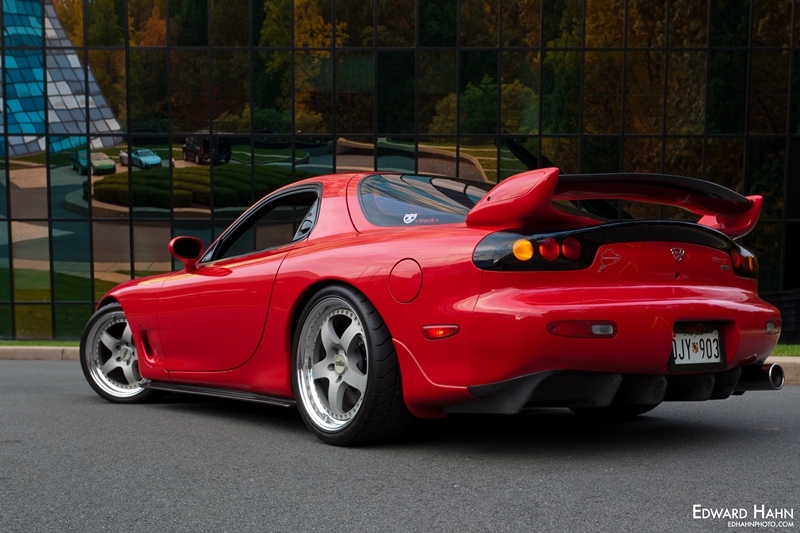 Rotary Clocks and Trophies, removing anodizing, and proof of a true rotorphile - my pilgrammage to Japan and RE Amemiya and Mazda Headquarters where my FD was built in 1992. A story (Dave Henning and myself) of our first attempt at the OLoA.